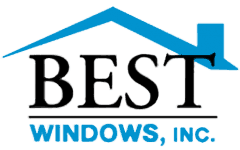 Have you been thinking about replacing your windows? Maybe your old ones are broken, inefficient, or just ugly. Here are some ways you can benefit from replacing your windows and getting brand new ones. You can get a tax credit for replacement windows if they are energy efficient windows. 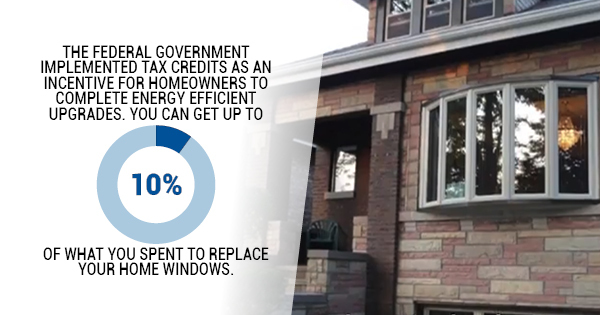 The federal government implemented tax credits as an incentive for homeowners to complete energy efficient upgrades. 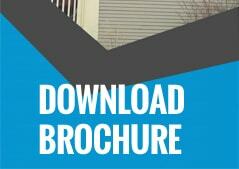 You can get up to 10% of what you spent to replace your home windows. New windows can also reduce what you’re spending on energy bills, so you’re saving money all around. Replacing your home’s windows can make your home safer in quite a few ways. First, new windows won’t let the elements from outside come into your home like your old windows might have. This means you don’t have to worry about water or even pests coming into your home through your windows. Second, your old windows may have been hard to open and close, making it difficult to escape in case of a fire, but that’s not a problem with new windows. Finally, newer windows are harder for intruders to get through compared to old windows that might have broken locks or seals. New windows can make your home more comfortable in two major ways. First is that you won’t be disturbed as much by what’s going on outside. Your old windows could have been letting in too much noise, and you probably don’t want to listen to passing traffic during dinner. Secondly, new windows seal much better than old windows, keeping the temperature much more comfortable in your home. New windows can actually increase your home’s value by adding not only curb appeal but homeowner’s peace of mind as well. Your home will look and feel better inside and out, and the new owners will know that they don’t have to worry about window issues for years to come. Finally, new windows can let in much more natural light than old ones. You can get bigger windows, or even just cleaner and clearer ones to let the light in. The increased light won’t make your furniture and carpets fade though, because newer windows are designed to block UV and IR rays. You can get a tax credit for replacement windows, raise the value of your home, increase the natural light, increase your comfort, and finally, increase your safety. Plus, your windows can last 20 years or longer if they are of high quality and are properly maintained.